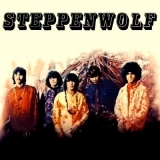 Steppenwolf (this album) (1968), Rest In Peace (compilation) (1972). Showing latest 5 ratings for this track. | Show all 19 ratings for this track.